Am 24. und 25. September findet die dritte Ausgabe des EU Hackathon statt. Unter dem Motto „Hack4YourRights“ sollen Daten- und Visualisierungsprojekte zum Thema Datenschutz und Privatsphäre entwickelt werden. Ausgewählte Teilnehmer bekommen Reise und Unterkunft bezahlt, der oder die Gewinner erhelten 5.000 Euro. To ensure that officials are acting in the public interest, citizens should know when and why governments demand access to their information. Using data sets from network analysis, corporate Transparency Reports and freedom of information (FOI) requests, create apps and visualizations that shed light on the state of government surveillance in their country and exercise their democratic rights to due process and greater transparency. Gesponsort wird das Ganze von Google. 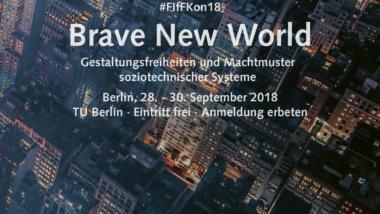 Eine Reihe von Digital Rights NGOs sind Unterstützer, darunter auch European Digital Rights (EDRi), Electronic Frontier Foundation (EFF), Open Knowledge Foundation (OKFN) und Digitale Gesellschaft.